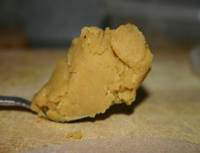 If the mixture becomes too stiff you could add reserve water to it or if its runny continue stirring it. 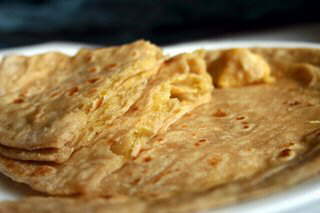 The mixture should be like a loose dough which could be spreadable. This is how the mixture should look. 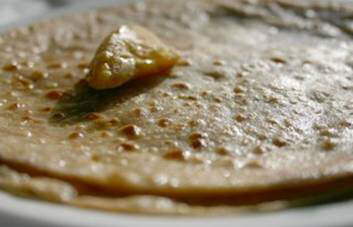 · Place it a plate and spread ghee on both the side......and there you have it friends Puran poli!!! !